Greet your dear ones with this Sweet N Salty Birthday Gift Basket for your father, husband, boy friend, him etc. and make them feel special, loved and lucky. 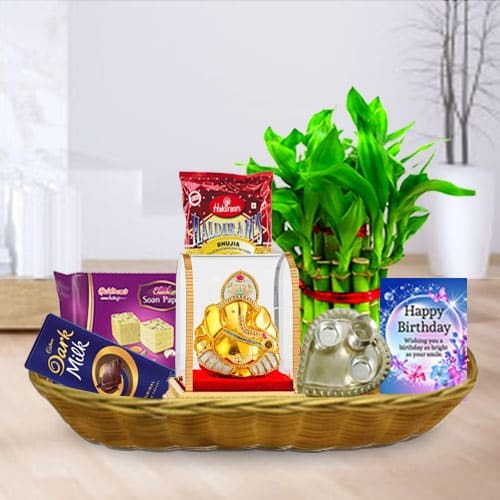 This special treat is sure to delight your friends and family on their Birthday as it is complimented with Haldiram Soanpapdi, Haldiram Bhujiya, Paan Thali, Ganesh Idol, CCD Voucher of Rs.100/-, Birthday Card and Bamboo Tree.